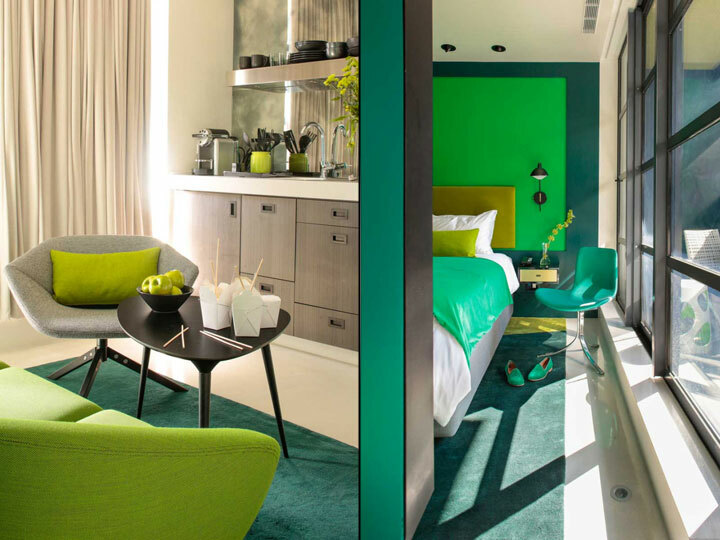 Sometimes, color is not just an aesthetic addition to a space, but an integral part of the space itself. 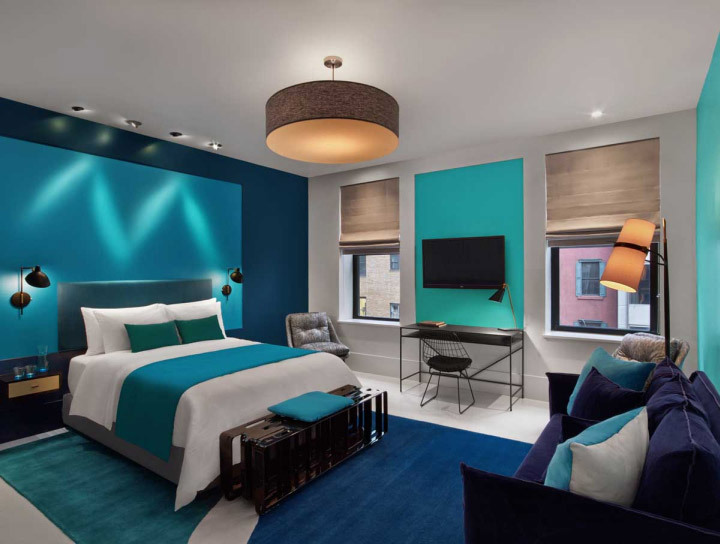 Created by In Situ Design together with Lilian B Interiors, the corridors and rooms of the William hotel in New York City are a splendid example of the use of color not as a decorative detail, but as something more integral to the entire design concept. Here, color is an intrinsic part of the interior and of the process through which this came about. If in most interiors, wall paintings are more of a final touch-up, in this case, the design and the art grew from each other. 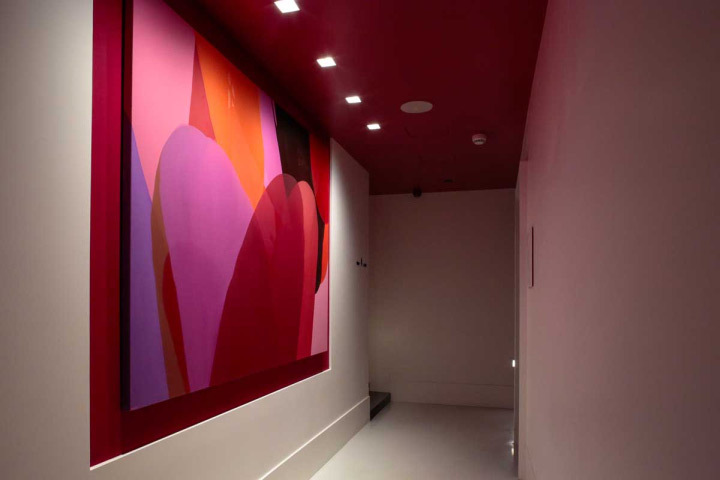 The idea was to allow the art to flow into the rooms and define the space. 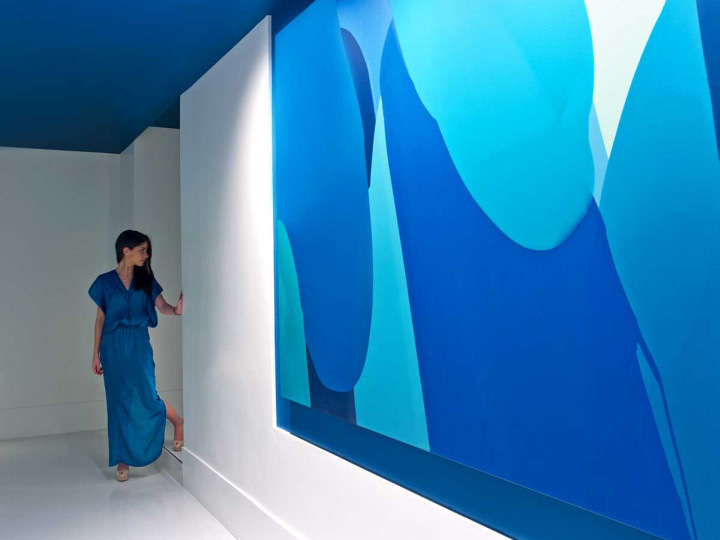 Large abstract paintings cascading with color populate the corridors, bleed onto the ceilings and walls, and continue into the guest rooms. In the guest rooms, the color advances onto the walls and niches, then descends onto the fabrics, furniture and floor coverings. 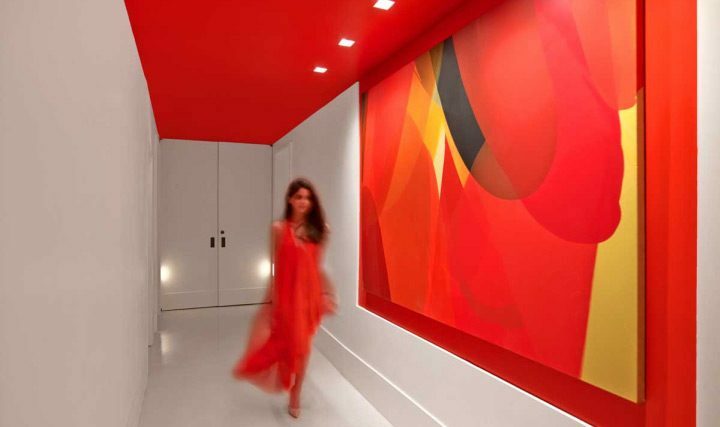 The sense of color flowing from one space to another gives the room the impression of an ever-evolving artistic composition. 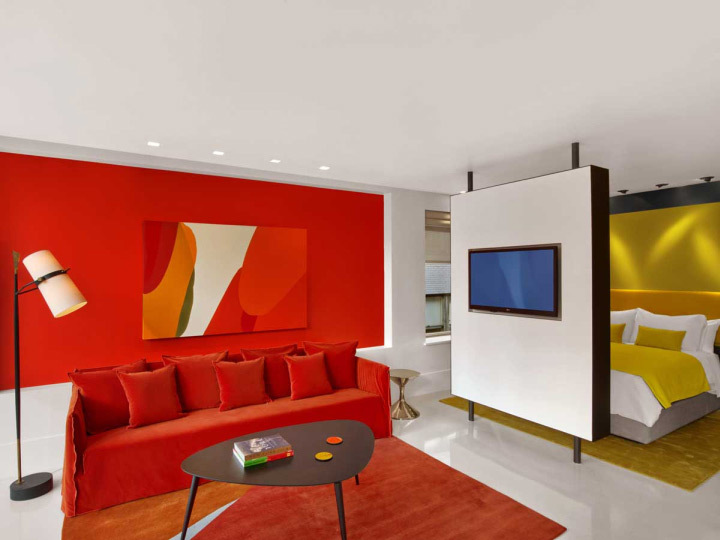 This use of color is not simply a smart design trick used to create a “cohesive” interior. Color was nothing less but a tool in the creating process. Sharing a studio with the designers, the artist worked on the paintings as the design developed and evolved. The two creative processes mingled and fed on each other, with the rooms growing from the paintings and the paintings evolving with the rooms. Each of the five levels of the hotel received a distinct color treatment in blue, teal, pink green or orange. Using the designers’ expression, this is “unapologetic color” at its best.